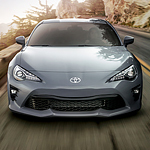 The 2019 Toyota 86 has a blend of performance and driver-focused features that make it one of the top sports cars in its class. The interior’s materials are high-quality, made from textiles that feel and look luxurious. Of course, you can always upgrade to leather materials with one of the premium packages. However, why would you want to when the base package is so good? The 86 sport coupe is a very hot horsepower machine on the road. You want an interior that’s going to suit your needs. At base, you’ll get a 4-inch touch screen, Bluetooth, USB ports, and push-button start. Toyota has really made these vehicles to reflect the luxury that you feel when driving on the highway. You can get superior performance from the 86 when you upgrade to the premium trims and get a higher technology package. These include a sun-roof and surround sound system. Want to see all of the latest features? Test the 86 at our Toyota showroom today.